Welcome to Worcester Gilbert and Sullivan Society pages where you will be able to find out all about our society and what we do. 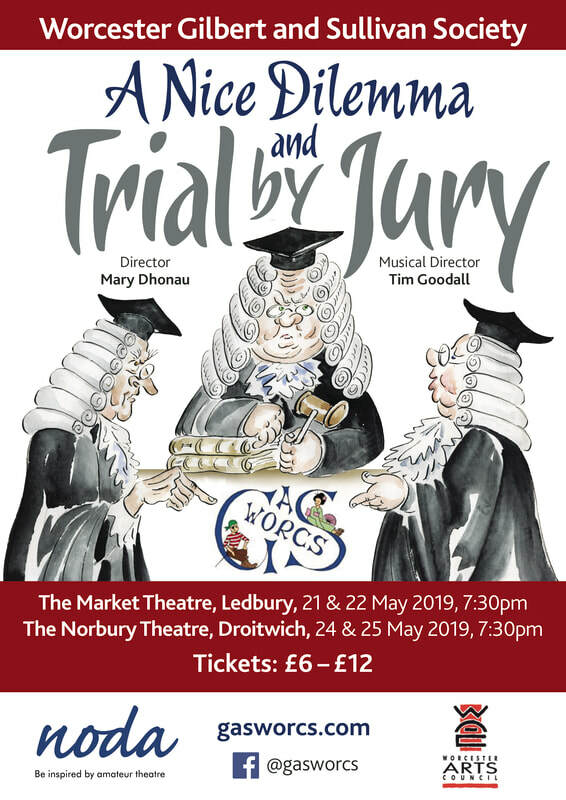 Worcester Gilbert and Sullivan Society has been performing for over 40 years across Worcestershire. We mainly perform the operettas from the wonderful Victorian duo interspersed with parodies, musical hall and snippets from other musical traditions. Our society is proud of its attention to detail, great singing and fabulous costumes as well as making sure we are one of the friendliest societies around. There are many opportunities, other than singing and acting, for members to contribute their skills to the many and varied tasks which are essential to the successful production of a show. These include wardrobe, make-up, back stage, scenery and front of house activities. A big celebration was held as our last show, 'The Sorcerer' performed at The Rose Theatre, Kidderminster in November 2017 won 'Best Musical' in the regional NODA Awards. Meriel Ford, Director, said "I am so proud of everyone who took part in the show, both on stage and behind the scenes"
Pictured: Christine Davies, Berny Murray, Becky Fearnley and Meriel Ford who went to the Award ceremony. Cake was served up for all the cast. The Sorcerer was nominated and then won 'Best Musical' in the NODA Awards. We are delighted with the result. The Sorcerer was a huge success at The Rose Theatre with some great audiences and a fab NODA review. Our latest show, Those Good Old Days of Music Hall has finished and we've had some great audiences. A great 'Iolanthe' at the Rose Theatre, Kidderminster. Pictures to follow on the photos section. Gasworcs is pleased to announce the launch of their new website.